Redesigned this year, the 2018 Mazda6 gets a variety of big upgrades throughout the trim lineup, including new tech like the latest MAZDA CONNECT™ multimedia interface. This lineup of engineering technologies includes engine, transmission, body, and suspension work that help the Mazda6 deliver more power more efficiently. Accessible via a 8-inch high-resolution central display, MAZDA CONNECT™ gives you access to available features like Bluetooth®, navigation, music streaming, and much more. Stay safer on the road with i-ACTIVSENSE®, which includes driver assistance features like Smart City Brake Support, Dynamic Radar Cruise Control, and Lane Departure Warning. Stream your favorite playlists or listen to SiriusXM® satellite radio on this premium 11-speaker surround sound audio system, which serves up crystal-clear and bold sound throughout the entire cabin. 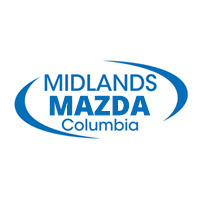 Compare the 2018 Mazda6 to the Toyota Camry, and find out more about this high-tech midsize sedan’s safety features at your Midlands Mazda in Columbia, SC. Find the Mazda6 for sale right now, and stop in and see how it can improve your Irmo commute!